Superior features at an incredible value. 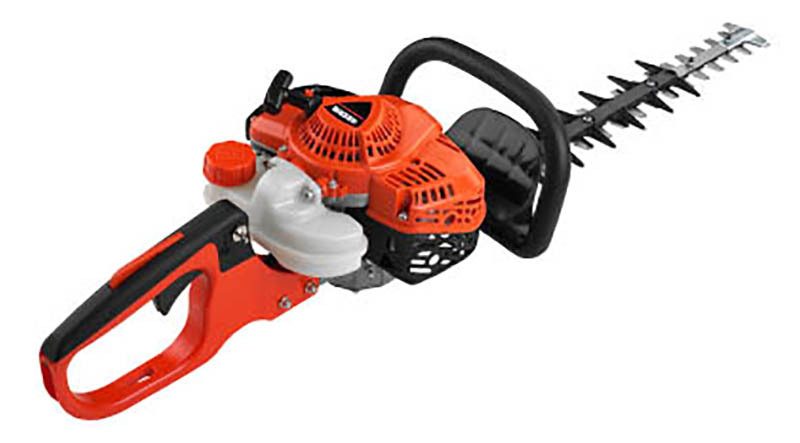 21.2 cc professional-grade, 2-stroke engine - for outstanding performance. 20" double-sided, double-reciprocating blades provide the best cut quality. Utilizes foam prefilter and felt main filter for superior engine protection. Large ergonomic front handle with safety guard for increased comfort and control. Large rear handle provides comfort and great control. Tool-less air filter cover for easy access. Class-leading 10.0 lbs. dry weight.